Did Christopher Columbus "discover" America in 1492, or had he already known that there was another continent to the west? Was he in fact a Templar, encouraged by Pope Innocent VIII to pursue a utopian dream of uniting Christians, Muslims, and Jews? 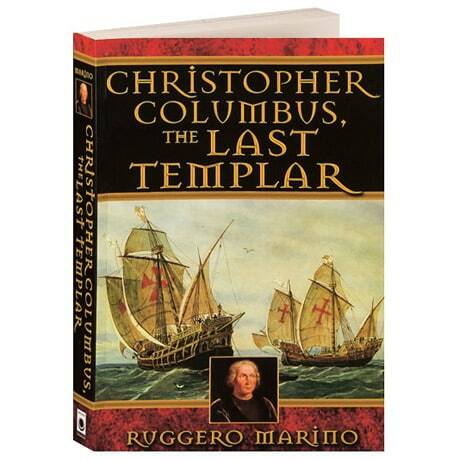 A longtime journalist, envoy, and editor for Il Tempo in Rome, Ruggero Marino has spent decades researching Columbus's life, producing such books as Christopher Columbus and the Betrayed Pope, winner of a 1991 Scanno Prize. Marino posits that the explorer's supposed blunder was part of a disinformation campaign by his apparent sponsor King Ferdinand of Spain, in league with Innocent's rival and successor, Pope Alexander VI. Columbus's major sponsor, and the instigator of the voyage, was Innocent himself, who Marino further argues was Columbus's true father.